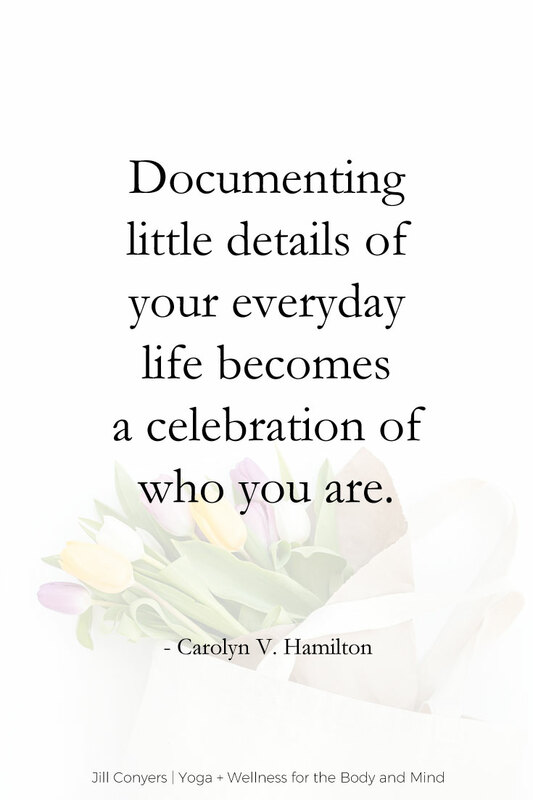 You can experience a greater sense of wellbeing with daily journaling. I can’t believe it’s already April. It seems like such a short period of time since I shared the March journaling prompts. Scientific studies show how writing can benefit your emotional and physical wellbeing. Journaling helps you cope with experiences and can prepare you to face similar experiences in the future. I challenge you to journal regularly for 30 days, to begin making journaling a habit. That doesn’t mean you have to write every single day. Maybe begin with regularly journaling 3 to 4 times a week. 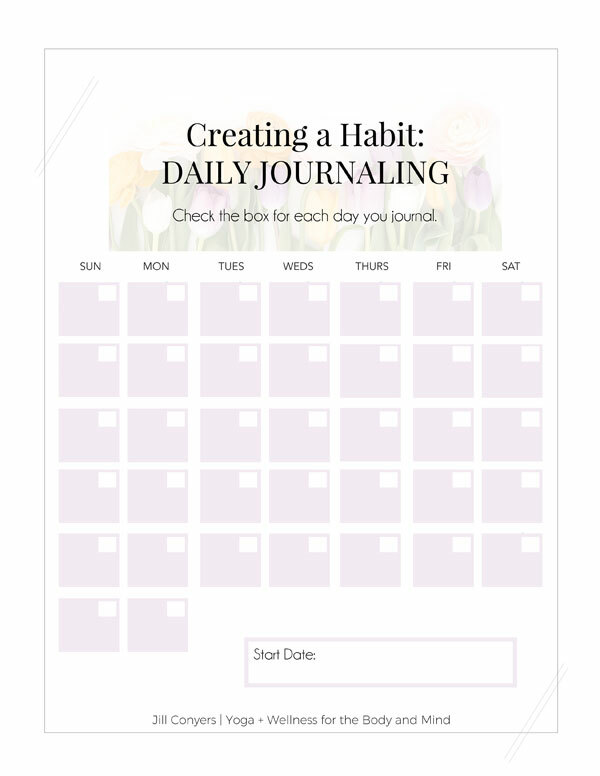 Print the Creating a Habit tracker (pictured below), in the April Journaling Prompts and Inspiration download and hang it where you will see it often as a daily reminder. What is your life motto? The words you live by. Tomorrow, I promise I will [FILL IN THE BLANK] for myself. Is there something in my life I need to let go? What is my priority for next week? How would I like to be described? What is something new I would like to try? If I could do yesterday over would I do anything differently? What’s making headlines this week? What does social media bring to my life? What do I remember most about my last birthday? What was the last thing that made me laugh out loud? You don’t have to use full sentences. Leo Babauta of Zen Habits, writes in bullets with 2-6 bullet points daily depending on the day. LOOKING FOR MORE JOURNALING INSPIRATION AND HOW TO START CREATING A DAILY JOURNALING HABIT? And even more inspiration pinned on my Journaling Pinterest board. Check it out here. Incredible post, thank you so much. I’ve hit a slump this month and this helped me get out of it. I can’t wait to go create! This is such a great idea! I am really trying to work on relaxation and taking time for myself this year. Thanks for the tips! These are some amazing ways to self-reflect <3 I began using habit tracker and it really has helped me do more and achieve more out of a day! Journaling has brought things into perspective for me and I would love to use these prompts to become more self-aware! I love this! Writing prompts and journaling prompts are huge right now! You should def make this into a PDF freebie! Thank you for sharing this! I’ve been journaling more than normal since I bought my boat and this is a great list to refer to when I need additional inspiration! What great ideas and fantastic prompts to get you started! I love this! What a great list! Loving all the topics. Such a great idea to get those creative juices flowing! These are fantastic prompts! So so so good for some mental spring cleaning + serious self reflection. I usually only journal when I am overcome with a certain emotion, or have just created a memory that I really don’t want to forget, but I still love it. It’s such a calming task to do, and I am looking forward to reading back through them as I grow older. I have been thinking that perhaps I should do some more self reflection entries so I can really see how much I change throughout the years. I’ll definitely keep these prompts in mind for then! I never thought of having a journaling theme for each day. This is so cool! I haven’t kept a journal since I was a kid, I think. 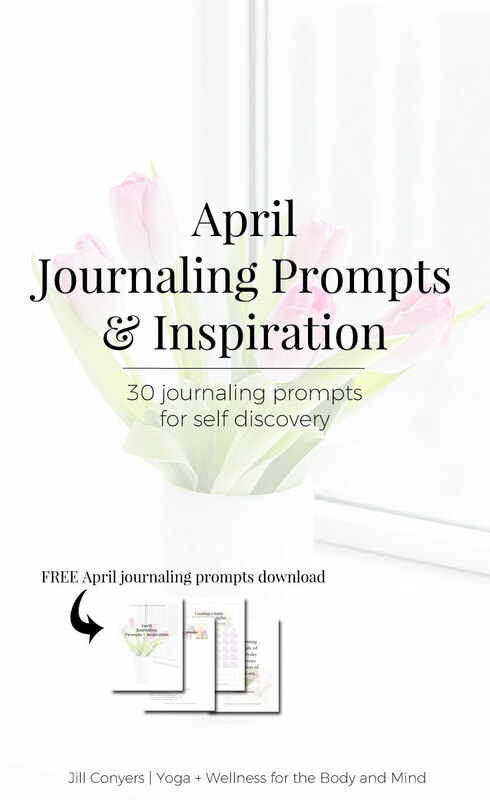 Ooo, love the daily journaling ideas! I’m going to do it! Journaling is so good for you even on a neurological point in the brain. It lights up the same areas as happiness! Thanks for this post! So I really like the prompts and taking the time for self reflection. However, I’m not really into journaling. But while on my long training run yesterday, my headphones died with 6 miles to go, so I had a lot of time for self-reflection and I actually thought about quite a few of the above prompts! These are such great prompts. It would be cool to see how the answers to some of these prompts change from year to year. Great prompts! I wrote down some of the last ones but I’m still looking for “my ” journal. I love all of these and think spring is a perfect time to reflect since it’s a time of renewal. Will be planning my summer bucket list soon! This is such a great topic! We could all use some ideas when it comes to finding topics to journal about. Thanks for the inspiration! These are such great journal prompts! I need to follow a habit tracker for journaling because I have been slacking at it the past month. These are fantastic prompts…which if I started journaling I would definitely need to use. My grandma journals every single day. She has stacks of journals from the last 10 years or more. What do you do with your journals? Do you save them or get rid of them? Excellent list! I will definitely use these in my bullet journal! My favorite is what’s my life motto. What a great idea! I signed up for it. I love writing but sometimes need inspiration. These prompts are fantastic! My brain is already spinning with ideas – thank you! I think it might be a good idea for me to start journaling. I like the idea of prompts and I feel like I might write more if I know what I need to write about. Wow, these are fantastic! I’ve never used prompts before, but I am going to try this out in April. I downloaded everything and have the calendar printed out and ready to go :] I also joined the Pinterest board for even more ideas. Thanks!